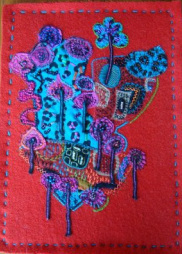 ﻿I am very undisciplined when it comes to hand embroidery - off cuts of brightly coloured fabrics juxtaposed on a background invites me to 'draw with my needle and thread'. 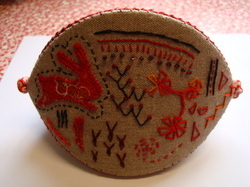 I do not plan the stitches, the direction or have a theme, I just stitch. 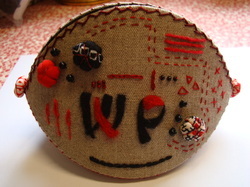 I call this 'random acts of stitching'. 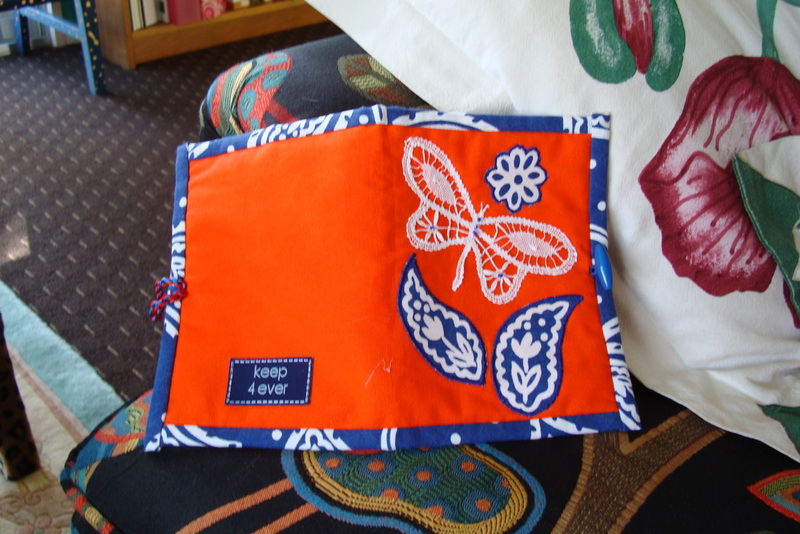 Have a look on my Needle and Thread page and see the colourful things I have made. 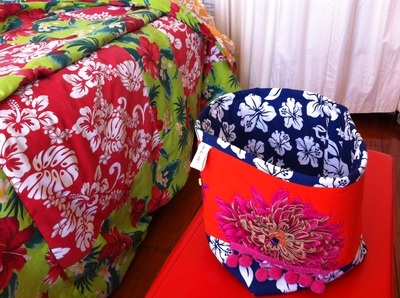 I made this 'pacific designed' fabric basket to tone with her themed duvet. 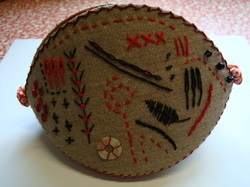 Fabric basket with handmade lace and needlebook. 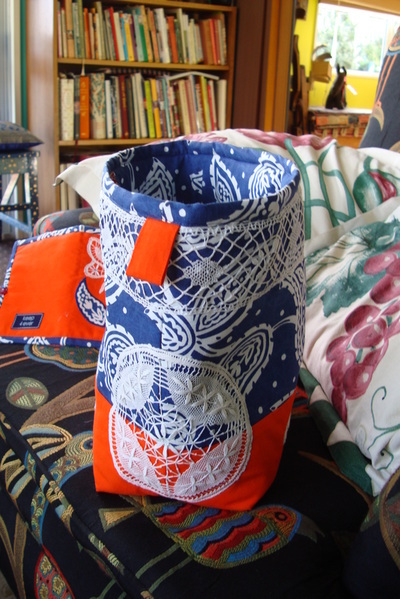 Needlebook to match fabric basket with handmade lace. 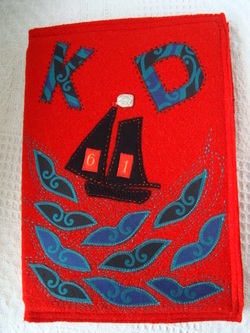 Randomly stitched journal using recycled fabrics on a Red Cross recycled blanket. 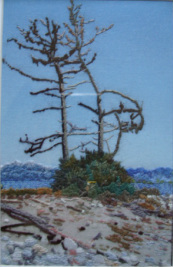 This is a photograph printed onto fabric then stitched with ordinary sewing thread and some embroidery threads. 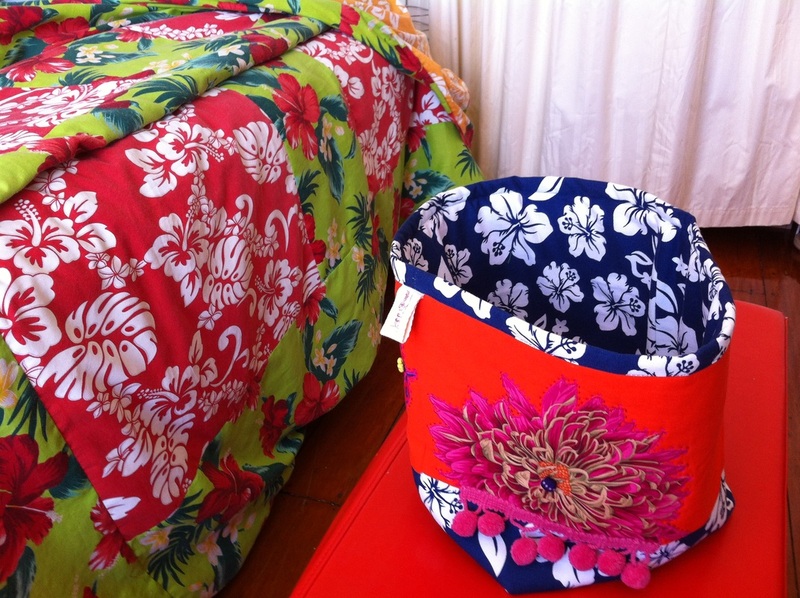 Shoulder Bag - gift to my good friend Ro. 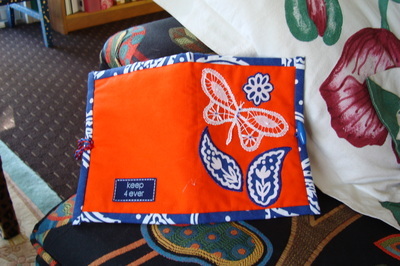 This is view 1 of a three-sided pouch randomly stitched and made for a friend. View 2. with my friend's initials and some small padded embellishments bought in Japan at the annual Yokohama Quilt Show. Side 3. Appliqued rabbit also bought in Japan with beads and random stitching. 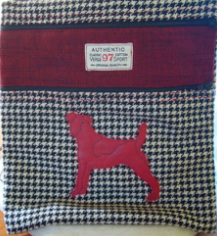 This journal was made for another friend for her birthday from recycled blanket. 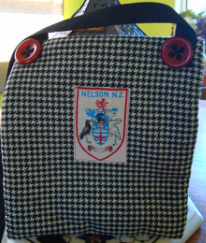 The Maori motifs were taken from a recycled tie. 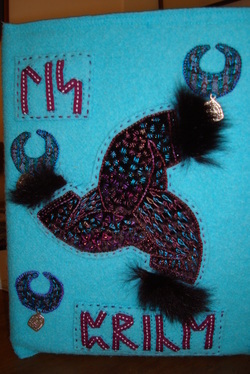 This journal cover was made for a friend for her birthday. Her heritage is Norwegian so I found a viking image and also wrote her name in Rune alphabet which is also viking. This blanket was made from recycled jumpers. 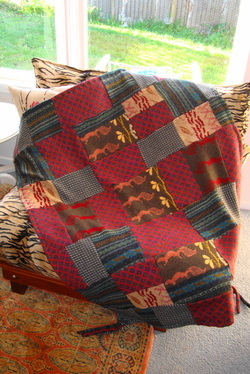 It was made as a house warming present for my friend Ro who bought herself a small flat - 42 sq m!